Cubot Note S Review: Remake of A Budget Smartphone? A budget smartphone doesn’t have to scream budget right? Buying a budget phone should not tie you down to a lacklustre device with less than mediocre specifications or a device that will break down in less than a month. It shouldn’t be a device that you rather not pull out in public or share with your friends. You shouldn’t be punished for not spending an arm and a leg on a phone. It should work just fine. Many companies are churning out devices that are pretty awesome without making you broke and Cubot is one of them. We said that this is one company we should be on the look out for this year as they continue making devices for our market and they started out this year with this. 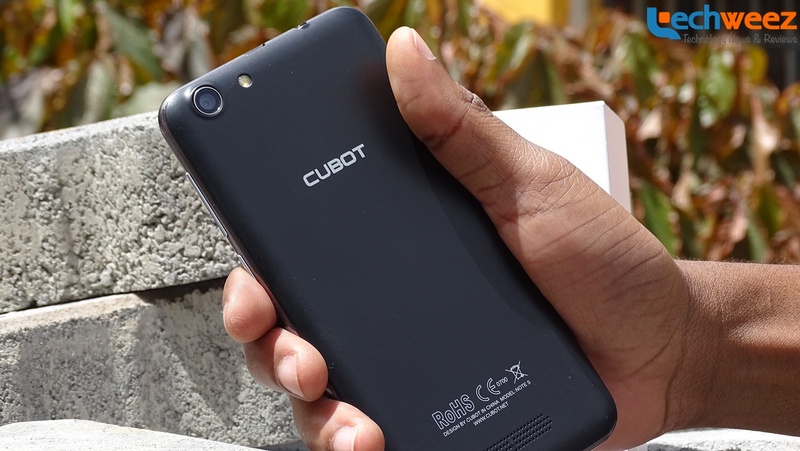 The Cubot Note S launched on Friday, February 2016 much to the delight of many who might be out searching for a budget smartphone that will not disappoint. Cubot describes the Note S as a device ‘for the young’. Being that it is being sold at a very low price, I believe the desired market is the young in the African market who want to own a cool phone without breaking the bank. That is what Cubot is offering in the Note S.
On paper, it seems to be a very appealing device for the target market. It has a huge 5.5 inch HD screen, big battery, 8MP and 5MP front and back cameras, 2GB RAM and a pretty capable CPU. I have used the device for a few weeks now and I got to test how efficient or good all the features are and to see if it’s really worth the money and spoiler alert, I think it is pretty good for that price. It is being sold exclusively on Kilimall at Ksh 8,888 which is a bargain! Having the device at Kilimall is an advantage as it will cut down on costs making the price very competitive. 3 x 77.2 x 8.8 mm. I feel like the Cubot Note S has a solid build structure. The (faux)metal edge going around the device gives it a premium look and feel while also allowing for better grip. The plastic used at the back has a soft feel to it with a cut outs for the camera, LED flash and speaker grills. Cubot will also be releasing some interchangeable colorful back covers that should really let you customize your experience. I am not a fan of back facing speakers as they are muffled when placed down on the table. However the speakers on the Note S are quite loud allowing for enough sound to seep through. In the box, you get a clear TPU case with a misty back that fits just right on the phone, without making it feel bulky. This is a necessary addition to the phone as it feels a bit vulnerable when dropped, especially due to the ‘protruding’ touchscreen. Talking about the screen, Cubot say that the Note S uses 2.5D technology on its one glass solution screen whereby the edges curve into the phone creating a rounded, almost bubble like effect. I like this screen as it offers an interesting shape to the device. The edges also feel smooth to the touch and continue bringing the premium feel to the device. Colour representation on the Note S’s screen is quite brilliant. The screen is not overly bright or muted, very well balanced in my opinion with decent outdoor visibility. Viewing angles are also quite large. Add this to the huge screen, watching a video with a few people should offer standard viewing for everyone. What I am disappointed about is the fact that the screen is not Full HD. This would be a welcome feature for sure but because of its budget price, some things had to be sacrificed. Despite this fact, I feel like the Cubot Note S is making good use of that screen as it is very clear and in as much as you can pick out individual pixels, the overall clarity allows you to forgive that. On launch the device comes with Android 5.1 Lollipop operating system. You do not get the pure Android experience as there is a skin on it. I do not like the icon pack at all but that shouldn’t be much of a problem as there are many different launchers on Google Play with different icon packs so you can change that to your preference. All in all Android 5.1 Lollipop runs pretty smoothly on this device. Another thing to note is that the Cubot Note S does not come with a lot of installed apps which is good, allowing you to truly customize your device according to your needs. Whether the Cubot Note S will receive Android Marshmallow I am not too sure. The MediaTek CPU is an average performing chip with a maximum clock speed of 1.3GHz, which is not particularly fast and snappy but good enough to keep up. In terms of multitasking, the processor has 4 cores that make multitasking extremely efficient when compared to dual core processors. This means that the Cubot Note S can handle a number of processes at the same time. Add this to the 2GB of RAM that comes with this device, the performance achieved is satisfactory. However, there are some instances of lags and a few stutters here and there but nothing too substantial to ruin your experience. It has 16GB internal storage with 12.17GB usable storage. This will not be enough to store all your apps, Whatsapp videos and photos. It’s a good thing that the Note S comes with an expandable microSD card which can support up to 32GB additional storage. This gives you the much needed additional storage to support you. The phone heats up at the top when running certain processes that max out the CPU. This can be felt when playing highly demanding games and applications, however given a few moments it cools down and continues working as usual. The Cubot Note S comes with a 4150 mAh battery which is huge and very necessary to support the size of the screen. It is said that the battery could last up to two days but that I feel is for conservative users who use their phones sparingly. I am constantly on my phone and the estimate for 2 days battery life is long shot. My normal day starts with the device fully charged and data is always connected. On my commute to work, I either stream music from Spotify or listen to podcasts. The device remains connected to Wi-Fi in the office as I sometimes surf on it, play games, use apps like Pomodoro that I use to organize my time, enjoy Instagram or just open up the screen for no reason at all. My commute back is characterized by more streaming and podcast listening. By the time I go back to bed after more social media stalking and news reading, I end up with just about 40% charge left. That amount is pretty good compared to other devices I have used that require constant charging up during the day. If you are not constantly on the phone then 2 days can definitely happen. It also has a battery saver feature that further elongates your battery life by sacrificing few features. Having an 8MP primary camera is something standard in most mid-range phones, but you should note that the number of mega pixels in a camera doesn’t necessarily equate to the quality of the camera. The camera app takes a few seconds to open revealing a rather old looking crowded interface. It has black bars on both sides of the screen showing various settings and options that reduce viewing field of the scene you wish to capture. The camera takes pretty good shots outside when there is a lot of natural light flowing into the lens. I specifically found it very good at close up shots of flowers and bugs if you are into that sort of thing. However the camera struggles when taking wide angle shots and landscapes as a number of details disappear in the picture. The quality of pictures deteriorates even further when taking pictures in low light conditions. The LED flash comes to play but color distortion and over emphasis of details due to excess light is the undesired result. On the bright side, the camera has a lot of cool features to play around with and I have to admit that I wasted some amount of time on it. These include HDR mode while shooting, capturing pictures using the peace sign (which I haven’t gotten to work yet), panoramic pictures and my favorite, multi angle shooting that takes several shots of an object from various angles and constructs a single image for you to go through, like a 180 degree camera view. Only drawback, the quality of the images is wanting. The 5MP selfie camera is just okay. Works well outside but can be frustrating indoors. It also has the intelligent beauty feature to make all your selfie smooth and beautiful. The Cubot Note S supports 2 micro SIM cards allowing you to access 2 networks at one time. One thing to note in terms of connectivity is that this device does not support 4G. Seeing that they are focusing sales of this device in Africa which is still predominantly on 2G and 3G, this should not pose a big problem. However it is still unfortunate as more networks are rolling out 4G for extremely fast browsing something that is the next step for us following the increased rates of internet penetration and usage across the continent. You may actually get a MicroSD with much more storage than 32Gb. Mine has 64Gb, which cannot be recognized on a Cubot Note S. BUT it is only because of the filesystem. If you chose a FAT partitioning you may go as high as you wish. If you do not have a cardreader to your PC you can do this on a Windows Phone. I used an old Lumia 520. There the MicroSD got formatted. Then Cubot was able to recognize it and asked to format it. And then it worked flawlessly. It is a nice affordable smartphone. But I think Bluboo Maya is also a good budget choice for us: Android 6.0, 13MP+8MP cameras, Sony camera sensor+ quick focus, customized Face beauty APP, 2GB+16GB, 5.5” HD IPS TFT display, Back cover design, Metal frame, 4.35V battery core, 3000mAh battery, dual SIM dual standby. Vkworld T1 Plus Kratos has got such a cool design and have good processor in it with 2 GB RAM and internal 16 gb ROM also it comes with 6 inches extra large 2.5D Display.For more details about the display of T1 you can visit vkworld’s official youtube channel there is a review of it!